Recently, EMS 1 posted a story on Facebook with the headline “Equipment cutbacks put Chicago medics, firefighters at risk” with the subheading provided by EMS 1 of “What were they thinking?” The short version of the story is that self-contained breathing apparatus or SCBA’s for short are being removed from all 75 of the Chicago Fire Department’s ambulances. Furthermore, 70 paramedics getting ready to graduate from their academy will not be issued fire helmets, boots, and bunker gear. A Chicago fire medic and their union want us to believe that because of this decision, people are at risk, and people are going to die! As someone who has worked for 14 years in non-fired based EMS, I would like to share a differing opinion based on some of the statements made by various people in the article. 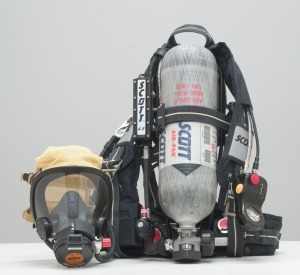 First of all, let’s talk about what the presence of SCBA’s means for someone who might not be fully trained and acting only as a single role paramedic, and not as a dual trained fire medic. The mere presence of this equipment encourages bad decisions to be made, either by “old school” leadership who doesn’t care what anybody thinks because they are “in charge, and we need people inside, now!” or by the medics themselves who take unnecessary risks because they think that they can handle something that they really cannot by donning this equipment that they have limited training to use. As someone who has worked many fire scenes both as a field provider and in an EMS leadership role, I have been in very few fire related situations that have required me to “stage at a distant location” or not have a stretcher right at the front of a fire scene as Pat Fitzmaurice, a veteran Chicago paramedic claims. While we would usually park a block or so away from the scene we would do so to allow responding fire units to lay in with their 5” lines from hydrants because it was a common occurrence that if you parked your unit too close to a fire scene (maybe a half a block away) you were just asking to be boxed in by laid hose lines and rendered unable to transport from a fire scene due to a lack of forethought by everyone involved. When it comes to making a rescue from a burning structure, in my experience there are two distinct procedures that need to happen in the situation where the fire department makes a grab: there is rescue, and then there is resuscitation. Those two roles do not need to intersect. The way that some who have commented on the article and others quoted in the article make it sound, you would think that there are paramedics actively resuscitating a patient inside of a working structure fire. Personally, I find that hard to believe. Then, there is the HAZMAT argument of putting paramedics outside of the “hot zone” of an incident. Well, the patient should not go anywhere until they are deconned anyway, and there is also a reason that people get trained as HAZMAT technicians. They receive that training so that they can be in those areas and provide the necessary care prior to transport and prior to decontamination. To sum it up, the Fire Department’s spokesman Larry Langford said it best: “Single-role paramedics do not operate in a fire or hazardous situation. Patients are brought to them.” When I was in New York City, I spent two of my ride shifts on a HAZTECH unit which was better equipped to respond to a HAZMAT incident in the city. Maybe Chicago should think about taking a similar approach. Finally, Pat Fitzmaurice makes an argument that makes absolutely no sense to me. I read it a few times to make sure that I was not missing something, and I just keep finding myself shrugging my shoulders in disbelief. “Fitzmaurice argued that the changes make no sense at a time when fires are down and the overwhelming majority of 911 calls are for emergency medical service (EMS). So realigning your division to better support single-role paramedics who respond to the “overwhelming majority” of calls for service in your system makes no sense? Huh? To me, it makes perfect sense. To me, it is the Chicago Fire Department actually being proactive and realigning their staffing to meet the demand within their system. The bottom line is, there is nothing wrong with opposing your employer’s view, and there is nothing wrong with fighting for job positions that you feel should go to people with different training. But think about the tactics that you use before doing so. Taking the fear mongering attitude of “when this happens, people are going to die!” benefits no one. Provide evidence to support your argument, not rhetoric. When Memphis cross trained their single role paramedics, it was because the city had just lost a lawsuit where they had been denying overtime pay because the medics were working 24 shifts and, the debate was, paramedics are not firefighters and not entitled to FLSA pay standards. I see Chicago using the same argument here very shortly.